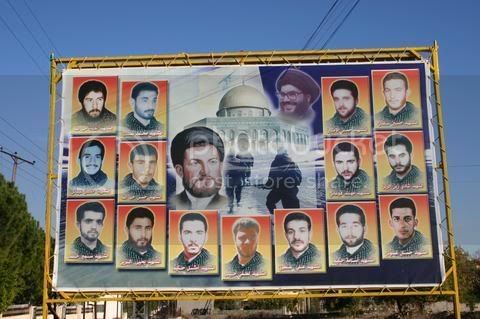 Hezbollah martyrs billboard. Almost always polluted by propaganda, the distinction between “terrorist” and “resistance fighter” is extremely slippery, loaded with passionate subjectivism, and only an honest understanding of history can start to sort out the moral contents of such labels. Let us not forget that not too long ago American Minute Men were “terrorists” in the eyes of the British crown, and so were the French maquis, to the Nazi occupiers, during WWII. Terrorists: Assassins or Freedom Fighters? DAGGERS FLASHING UNDER MOONLIT MIDDLE EASTERN NIGHTS. Secret societies conspiring against religious oppressors. Justice! Assassins sent from paradisiacal gardens to roam over Arabian deserts to kill in the name of the Prophet. Revenge! The skill of the kill! The contagious frenzy of killing! Kill, kill, kill! Armageddon! Oh, the fear! The terror! Stop your evil ways or in the quiet of the night the Hashshashin will exact justice. In the year 1090, followers of the Ismaili sect of Shia Islam occupied the mountain fortress of Alamut in the mountains south of the Caspian Sea and 100 kilometers from today’s Tehran. Under their leader Hasan I Sabbah they quickly refined killing to an art. In the West the violent sect became known by the name of Hashshashin because of their fanatical dedication to their religion. Persecuted by the Sunni branch of Islam, the Assassins left their gardens to murder leaders of their oppressors. Perhaps the name Hashshashin derived from “hashish users,” the drug they ingested before their deadly attacks. When Marco Polo was on his way to China he too visited the mountain fortress and called them Ashishin. Assassins! 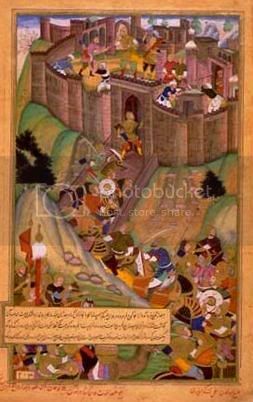 The Assassins’ fortress, Alamut, under assault, in an illustration from the period. The Hashshashin referred to themselves as Fedayeen, which means something quite different. The now familiar word means no less than “freedom fighters.” The term Fedayeen has been used by Arab militant groups throughout history: volunteers dedicated to causes in which the government fails to act. A lonely business from the start! For our purposes here, the Assassins of then were associated with resistance against foreign occupation or tyranny. And as a rule resistance is not a joyful affair. The Fedayeen made of murder a meticulous system for killing targeted individuals in public, without however, as historians note, the loss of innocent life … and they never considered suicide. I just read an article by T.E. Lawrence about British occupation of today’s Iraq and the resistance it caused, published in the London Sunday Times of August 2, 1920. The letter could have been written today. History repeating itself. The eternal return. Lawrence of Arabia accused the British government whose 92,000 soldiers in Iraq couldn’t control three million Arabs in “revolt” against the invader. He spoke of the British “assassination” of tens of thousands of Arabs sacrificed in the name of colonialism and the popular insurrection it had caused. Terrorism was never mentioned: only colonialist oppression and the popular insurrection of the Arabs. King Feisal, accompanied by T.E. Lawrence and his retinue at the Versailles conference, pressing his claims of independence which the British betrayed, to the dismay and anger of T.E. lawrence (second from right). 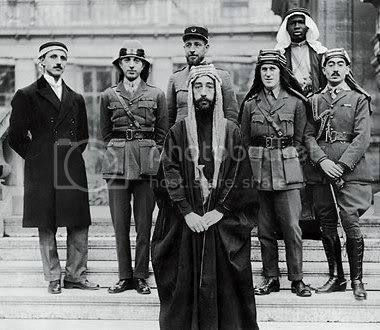 Lawrence clearly had divided sympathies, but his sense of honor, honesty and fealty to his Arabs friends was genuine. A thousand years ago and one hundred years ago and again today, there has always been confusion between terrorism and resistance. As it was for mainstream Islam, it is a point of view for today’s US administration that sees terrorists under every rock, that blames every failure on largely unidentified terrorists, and justifies each of its own nefarious crimes on generic terrorism. 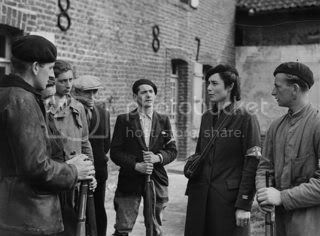 Members of the French resistance (maquis). Not Hollywood, but the real thing. Yes, they wore berets. Since terrorism is most often a point of view, perhaps literature can actually deal better with that slippery terrain. Still, what Power so unceremoniously, so handily labels terrorism, has become fixed and omnipresent in our day-to-day lives. But since it is no joking matter either, we have to treat it seriously, severely … also somewhat terroristically. As Schiller wrote in his 1804 play, William Tell, (written in the aftermath of the French Revolution to justify tyrannicide), that which for Power anywhere and at any time is terrorism, for the oppressed will always be resistance, revolt and rebellion. RESISTANCE! Neocon America instead simplifies a complex matter. It applies the label “terrorism” to any and every form of resistance to American imperialism abroad and today, at home, Power attaches the label to dissidents and anti-globalists and anti-war protesters and no-sayers under convenient provisions of the Patriot’s Act and other such illegal and anti-Constitutional legislation. Unfortunately, history is not an American forte. 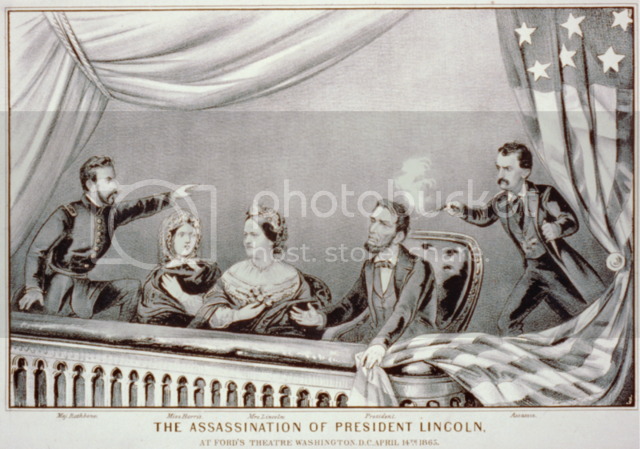 Wilkes-Booth and his gang were hailed as heroes by the South and hanged as assassins by the North. What would be their label today? In certain times and certain places genuine terrorism is so complex as to be an almost taboo subject. Paradoxically official USA stutters and stammers at finding a proper name for American rightwing militias, Christian fundamentalist subversives, abortion clinic bombers or Ku Klux Klan lynchers. For such groups, “terrorists” would work quite well. Yet, the streams and rivulets and byways of terrorism are so shady and labyrinthine, and government propaganda so intense, that the observer searching for truth tends to lose his way among definitions and distinctions and political correctness. Such built-in complications are then intensified by the difficulty of recognizing “institutional terrorism”, i.e. terrorist acts organized by the state in order to justify harsh restrictive measures and laws, authoritarianism and in the most extreme cases, war. September 11 is the clearest example of institutional terrorism, though that historic date is far from the only one. We remember sinking of the US warship Maine in the Havana harbor that justified the Spanish-American War. What about Pearl Harbor to ignite World War II? And the Bay of Tonkin for Vietnam? The strategy of tension is an old story; yet, after all this time, agents provocateurs continue to be strange words to the untuned American ear. Italian “terrorism” of the 1970s and 80s, coming on the heels of the youth, student and worker uprisings in revolutionary 1968, illustrate the meanings quite well. Terrorism is first of all defined as a method of political struggle based on the systematic use of violence—assassination, sabotage, kidnapping, and today human suicidal bombers—practiced by political extremists or by secret organizations of a nationalistic nature. terrorism—according to my encyclopedia—is also the instrument used by a political regime to grasp and to retain power. A terrorist is thus a member of an organization that uses terrorism and who executes terrorist acts. Or, he is a member of a regime whose existence is based on terror. Nazi Germany was a terrorist regime. Ditto Stalinist Russia. Resistance to them was sacred. Now we have the entire Neocon structure and strategy that has attacked aggressively the entire world in the name of US imperialism. By definition, it is a terrorist regime. By extension, terrorist crimes are both those committed in revolt against a state to damage the collective and not specific individuals and they are violent acts against an oppressive regime. Again by extension, terrorist crimes are likewise the criminal acts of an oppressive regime against the oppressed. This is the key: institutional terrorism is the catalyst for “insurgency” and “resistance” throughout the world today. The short geographical list is easy to pinpoint: Iraq, Afghanistan, Pakistan, Palestine. Thus terrorism is the story of relationships between power/authority and its subjects, and between oppressors and oppressed. We are used to the words, power and authority, often used synonymously, as if they were equivalent. But that’s not the case at all. Power and authority are not the same thing, and the distinction between the two concepts is significant. Power [pouvoir, potere, Macht] implies the faculty to act, and in our minds is related to force, coercion and violence, in the sense of “authoritarian.” That is why I like to capitalize the word Power used in that sense. When one hears the word “terrorism”, the responsibility of Power must always be in front of your eyes; otherwise you will miss the point. Authority instead implies legitimacy, in the sense of “legitimate authority,” or the legitimate faculty to act or perform. The distinction is between legitimate authority on one hand and crude naked power on the other. Authority can be good or evil; naked Power will never be good. As we all know, authority too, like democracy itself, is a shaky business because the criteria for who establishes and who legitimizes authority, varies from time to time and place to place. Authority and democracy stand on the edge of an abyss, perpetually menaced by power, easily transformed into authoritarianism. The reality is that you can feel horror at indiscriminate killing and bombs and kamikaze attacks and still hold to and even encourage the use of “legitimate terrorism”, that is, resistance and armed rebellion, against naked illegitimate Power. As Hezbollah learned easily in south Lebanon, armed resistance pays: it permitted the clearing of their land of Israeli occupiers. Resistance always pays! The result is that golden rule: what for the oppressed is resistance, resistance to naked power—as we see today at all latitudes peoples of the world oppressed by the tentacles of the global octopus-like market economy, by poverty and hopelessness—for the oppressor smacks of conspiracy and terrorism. Like Iraqis in 1920 and today, nationalistic Hungarians in 1956 considered themselves freedom fighters; for their Soviet oppressors they were terrorists in a conspiracy against the New Order. Like the Jewish Stern Gang in British occupied mandatory Palestine were terrorists for the occupiers, but for the Zionists were “Freedom Fighters For the Freedom of Israel.” Lack of true information still makes evaluation of the nature of Afghan resistance impossible but instinct suggests that also Taliban insurgents against the foreign invader consider themselves freedom fighters, Fedayeen, just as they were called when they were armed by the USA to fight against the Soviet invader. Since oppression today is global, no one should be scandalized that resistance to that power is also global. It is no surprise that three-quarters of the world is up in arms against US power—either naked military power or disguised by the misnomer, globalization. A good rule is to substitute the word globalization with imperialism. It usually works. The argument that problems of ethnic, religious, economic and political opposition have emerged precisely from the liberalization of political freedoms in third- and fourth-world countries brought by golden globalization rings hollow and hypocritical in the face of the testimony to the growing poverty of 4/5ths of that world. Wider political freedoms might create more spaces for rebellion and unleash wider resistance and violence, but evidently the near universal rebellion today is the effect of pervasive poverty and hopelessness, not of newly acquired freedoms. Moreover, for the hungry the risks of rebellion and terrorism will always be thousands of times better than sitting in apathy and waiting. 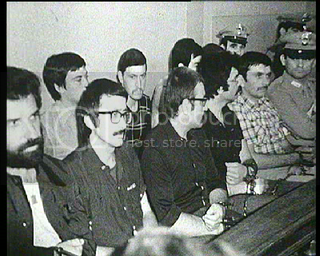 Brigatisti (members of Brigate Rosse) on trial. Although the comparison is often made, the BR was not similar in composition nor tactics to the American Weather Underground. The origins of modern terrorism are problematic. They have been since the French Revolution. As justified as the French were to rise up against oppressive aristocratic rule and ugly poverty, Robespierre was one of the first in the modern era to up continually the ante of revolutionary goals precisely in order to increase the obstacles to their achievement and to create the necessary tensions in order to justify crushing the enemies of his power. Robespierre’s terror was transformed into naked power at work against peoples’ natural tendency toward reaction. Throughout modern times his trick of tension strategy has been used over and over by authoritarian power—used to crush opposition. Tension strategy is always and always a tactic of oppressors. It refers to first permitting, stimulating, organizing, or even committing terrorist acts, in order to turn around and crush all opposition to the regime. The infamous Aldo Moro poster. Who actually killed him is still to be sorted out, much like the assassinations of JFK, Martin Luther King and other prominent figures. The use of agents provocateurs is an old story with which Americans should familiarize themselves. Old as Adam! Go out into the world and sow discord! Make the people rise up, then crush them. On an international level we are familiar with the Gulf of Tonkin as first the provocation, then the subject of “false consciousness” inculcated in the American public, and the catalyst for the Vietnam War. In recent days, the US fleet, just barely in international waters along the coast of Iran, is playing the role of provocateurs to incite Iranians to react so as to undertake the stratospheric bombing the Neocons are itching for. 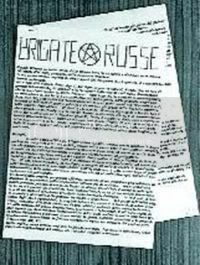 The Brigate Rosse story has cut deep into the Italian psyche, and there are a number of television and film works focusing on the organization and historical period, with varying degrees of accuracy. In the 1970s and 80s European secret services infiltrated and crushed the Red Brigades (Brigate Rosse) in Italy, the Red Army Faction (Rote Armee Fraktion) in Germany, and Direct Action (Action Directe) in France. In the process and in application of the strategy of tension they exploited the same terrorist organizations, keeping them alive in name in order to blame them, in the name of freedom, for the limitations placed on personal liberties. Today the name Al Qaida, the real existence of which is dubious, is used precisely in the same manner. Al Qaida is omnipresent, forever available to be blamed for institutional terrorism in order to justify all the patriot acts and no-fly lists and house searches and arbitrary arrests and detentions and tortures and concentration camps. Brigate flyer bearing the characteristic encircled star. Few knowledgeable observers doubt today that in its “second stage” the organization had become deeply compromised by agents provocateurs and police infiltration. Italy’s Red Brigades [Brigate Rosse-BR] formed Europe’s biggest, best-organized and most powerful “terrorist” organization. An elitist organization emerging from the 1968 protest movement, its rank and file came from the universities and factories. It comprised the most idealistic, the best part of the nation’s youth— la miglior gioventú, according to the title of a recent film depicting that generation sparked by resistance. The BR at one time claimed the admiration and moral support of millions of Italians. Its organizational structure is of interest because the organizers of Al Qaida (Pakistani and US intelligence services) seem to have borrowed from it since US Special Forces just can’t seem to locate that bearded man in a cave or his cohort riding his mule over remote Afghan mountain paths. At the BR base was a brigade of up to five persons, who provided arms and logistics; the brigades formed poles, which in turn formed a city column. The columns made up fronts that directed national political operations, controlled by an eight-man strategic directorate. The supreme level was a 4-5 man executive committee that conducted international relations and made major decisions culminating in the abduction and eventual murder of ex-Prime Minister Aldo Moro. The co-founder of the Red Brigades, Alberto Franceschini, told me that the Brigadists never considered themselves terrorists. They “resisted” US power in Italy and the one-party system governing the nation. Franceschini pointed out that the chance of armed rebellion inevitably increases to the degree that political power is insufficient and incapable of mediation. The first, the real Red Brigades, were the resistance born on the Left. It aimed at splitting the big Italian Communist Party vertically, recruiting its left wing, and then overturning the authoritarian state. It aimed at revolution. Yet, when police finally decided to crack down, 5000 terrorists flowed into Italy’s jails, while 500 escaped abroad, the majority to France. What does that very Italian story mean? • It means that Power wanted and needed the BR. • It means also that Power knew that the Resistance understood it. No wonder that as time passed former leftwing terrorists came to call themselves “West European guerilla” to combat imperialist efforts to weld European countries into the homogeneous structure it has assumed today, integrated in the instrument of imperialist power, NATO. On a practical level, the Europe’s terrorists-guerilla lost. That partially accounts for European military forces involved today in America’s madness in Afghanistan, where Italian soldiers have fallen and only yesterday two Dutch soldiers died for neocon illusions of grandeur. I offer this brief look at the Red Brigades in order to show another example of tension strategy. Franceschini told me that police could have crushed them quickly; however, their existence was convenient to the corrupt, anti-Communist, anti-Soviet regime of Christian Democracy, and to its ally, the United States of America. Red terrorists everywhere were the excuse for reactionary anti-Communism during the Cold War in Europe, Asia, Africa and even more brutally in Latin America, in Chile, Uruguay and Argentina. Fantomatic red subversives, and, in the name of the defense of democracy, for a mass of anti-democratic emergency laws, high security prisons and questionable justice as has happened in the USA today. Terrorism was the excuse. Italy, in close collaboration with the CIA, became in fact a bulwark against the Soviet Union, and its government managed to keep a firm hand on the Italian Communist Party, Europe’s biggest CP. “Red” terrorism was the weapon with which authoritarian power held at bay the Communist Party, which by the 1980s had become in practice a social democratic force. The real Red Brigades died in the late 1970s. After their Executive Committee and/or Strategic Directorate were infiltrated by Italian and American secret services, the Red Brigades became a riddle. After reporting for many years on European terrorism and after many meetings with terrorist leaders, my guess is that it became an empty name in the service of governments and secret services. According to the documentation the plan was eventually discarded for fear that the powerful workers movement in Italy would bring about a Civil War and/or fear of Soviet intervention. The coup didn’t happen, though US-backed Fascists made several weak attempts. 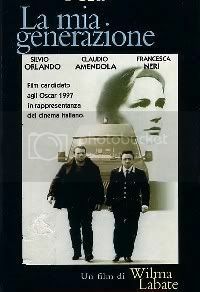 The “Italian question” continued to be the subject of NATO, of frantic communications and secret high-level meetings. Because the NATO role was crucial in the Cold War, the mere thought of the Trojan Horse of Italian Communists in a member government made Washington shiver in horror. Though the coup was ruled out, US subversive intervention in its vassal state of Italy was intensified. Terrorism was always a chief avenue for US control of Italy. After the real Brigadists were arrested the CIA infiltrated and turned some leaders of the second wave of Red Brigades. Fascist terrorists meanwhile bombed trains and assassinated NATO leaders; often the Left was blamed. The US meanwhile supported the organization of the secret Gladio army that would have been Italy’s military arm after the coup. Fascist militants described to me their military training camps in Sardinia and in the Abruzzi Mountains near Rome. New prisons were pinpointed while lists were drawn up of dangerous subversives to be arrested. For NATO planners the recruitment of some BR leaders was the culmination of the refinement of the instruments of tension strategy. 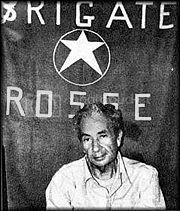 It was that late version of the Red Brigades, which in 1978 abducted and assassinated the Christian Democrat leader Aldo Moro whose strategic plan of so-called “historic compromise” foresaw Italian Communists in the national government. The Red Brigades took the full blame. Today, G-8 leaders label anti-globals and peace protesters “terrorists” and “enemies of democracy” and call for emergency measures against them. They arrest anti-globals right in front of the White House. Anti-globals on the other hand consider themselves non-violent freedom fighters for a better world. As a rule, police and/or police-guided, infiltrated or stimulated “terrorists” such as the Black Bloc are the aggressors against the anti-global peace movements. No sane person believes that terrorism can be eradicated with military might. It is now a truism that every bomb that falls in the poor world spawns another terrorist, many of whom, unlike the Assassins of a millennium earlier, are eager to strap explosives around their bodies and blow themselves to pieces on a crowded square, place, piazza, or Platz of the rich world against the naked power that impoverishes them. If one accepts with Schiller that the oppressed will reach to the heavens to grasp their rights and resist their oppressors, then the dire warnings from Washington of more and more terrorism ring grim. While America-Empire allegedly searches for efficacious measures to combat terrorism, more sincere American leaders are advised to examine aspects of European experience as a guide to both what not to do, and to what can be effective. They should not be deluded: No security measures, no no-fly laws, Patriot Act measures, secret concentration camps and torture can eradicate what Power defines as terrorism and the oppressed define as resistance until America unites with the rest of the world. Gaither Stewart is Cyrano’s Journal’s European Correspondent, and a Special Contributing Editor. His essays and reports are widely read on the Internet (Online Journal, CounterCurrents, etc.). He lives in Rome, with his wife, Milena. Governments disagree on Hezbollah’s status as a legitimate political entity, a terrorist group, or both. Throughout most of the Arab and Muslim worlds, Hezbollah is highly regarded as a legitimate resistance movement. The countries below have officially listed Hezbollah in at least some part as a terrorist organization. The European Union does not list Hezbollah, or any group within it, as a “terrorist” organization, but on March 10, 2005, the European Parliament passed a non-binding resolution recognizing “clear evidence” of “terrorist activities by Hezbollah” and urging the EU Council to brand Hezbollah a terrorist organization and EU governments to place Hezbollah on their terrorist blacklists, as the bloc did with the Palestinian Hamas group in 2003. The Council, however, has been reluctant to do this, because France, Spain, and Britain fear that such a move would further damage the prospects for Middle East peace talks. The CIA and other branches of the US government might have a difficult time explaining to proud Italian-Americans that Washington was treating Italy like yet another Third-World country in its machinations to undermine their sovereignty all the way up to the use of a military coup. As an American of Italian descent I know tat even our friends at the Cosa Nostra might take umbrage. Operation Gladio and the rest of this filthy tissue of intrigue woven by the US government as the tip of the spear of world reaction is a disgrace. A superb exposé of the most insidious method of governance devised by the ruling cliques to maintain control. This should be read with megaphones from the rooftops in every public square, and made required reading by young people in HS and colleges, not to mention disseminated everywhere in the so-called “Left” blogosphere. That the corporate media never touches on such issues, or if it does, it is to mislead, does not surprise me. Thank you Mr. Stewart. False flag operations are a clear and present danger—to use the cliché—to the heart of American democracy. This is an article that I will be submitting to my personal list. The case of Italy is far from unique, but should serve as a lesson to perennially naive Americans about the realities of the political world. Of course, we have 9/11 to chew on here, perhaps the biggest FFO in recent memory, carried out by the usual suspects, or with plenty of their assistance. The greatest enemy of human happiness is our species’ own stupidity. It’s laziness and stupidity that have defeated all attempts at constructing a better order. It’s genetic: at least 65% of the people at any given time are just plain mediocre, fodder for the demagogues, authoritarians and worse.